Born: 2 September 1864, Southampton, United Kingdom. Died: 7 February 1932, Cape Town, South Africa . Walter Hubert Cox lost his father at an early age and was sent to be educated at a shool in Greenwich, London. While there an opportunity arose to follow a career in astronomy at the Royal Observatory, Greenwich, where he entered service at the age of sixteen. Three years later, in August 1883, he was appointed junior assistant at the Royal Observatory, Cape of Good Hope, directed by Dr. David Gill*. He assumed duty on 26 September that year and soon participated actively in the social life of the Cape, appearing in amateur operatic performances. He was an excellent tennis player, winning the Western Province singles championship in 1891 and 1892, the doubles (with Dr. E.B. 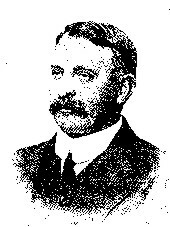 Fuller*) in 1892, and leading the Mowbray Tennis Club for many years. He married Annie W. Duncan of Cape Town in 1897 and they had two daughters. He had an equable disposition and a lovable nature, making many friends. Cox was promoted to second class assistant in July 1893, and to assistant in January 1905. He retired from the latter post in 1925, having been largely responsible for the reduction of observations used to compile the various meridian catalogues of stars issued by the observatory. In November 1912 Cox became a foundation member of the Cape Astronomical Association and delivered several lectures to members on 'Time'. He continued his membership when the Association developed into the Astronomical Society of Southern Africa in July 1922, serving regularly on its council and on its journal committee from 1924, and as vice-president for the year 1931-1932. His publications included 'Sydney Samual Hough: Memoirs' (Journal of the Astronomical Society of Southern Africa, 1923) and 'Observations of the new variable 86.1903' (Astronomische Nachrichten, 1904). Just before his death in February 1932 he submitted a paper on 'Transit observing and personal equation' which was published in the society's Journal later that year. He was also a member of the South African National Committee in Astronomy, established in 1929. In 1902 Cox became a foundation member (later a life member) of the South African Association for the Advancement of Science. In 1905 he also joined the British Association for the Advancement of Science, when it visited South Africa for joint meetings with its South African counterpart. Google scholar. http://scholar.google.co.za Publications by W.H. Cox. Journal of the Astronomical Society of South Africa, 1923-1931, Vol. 1(4) - 3(2). National Automated Archival Information Retrieval System (NAAIRS). http://www.national.archives.gov.za/naairs.htm Documents relating to Cox, Walter Hubert / Cox, W.H. Obituary. Walter Hubert Cox: 1864-1932. Journal of the Astronomical Society of South Africa, 1932, Vol. 3(2), pp. 85-86. South African who's who, 1908, 1919/1920.